Many borrowers qualify for a mortgage loan, but they don't have a large sum of cash to pay a down payment. Want to buy a new house, but don't know how you should put together your down payment? Tighten your belt and save. Turn your budget upside-down to uncover extra money to go toward your down payment. You could also try enrolling in an automatic savings plan at your bank to automatically have a predetermined portion of your paycheck transferred into a savings account. You might look into some big expenses in your spending history that you can give up, or reduce, at least temporarily. Here are a couple of examples: you may decide to move into less expensive housing, or stay local for your annual vacation. Sell items you do not need and get a second job. Look for a second job. This can be rough, but the temporary difficulty can help you get your down payment. Additionally, you can make an exhaustive list of items you can sell. Broken gold jewelry can be sold at local jewelry stores. Maybe you have collectibles you can put up for sale on an online auction, or household goods for a garage or tag sale. Also, you can consider selling any investments you own. Borrow funds from your retirement plan. Investigate the provisions of your retirement plan. It is possible to borrow funds from a 401(k) for a down payment or withdraw from an IRA. You will want to make sure you understand about any penalties, the way this may affect on your income taxes, and repayment terms. Request a generous gift from family. First-time buyers are sometimes lucky enough to get down payment help from thoughtful family members who are prepared to help them get into their own home. Your family members may be happy at the chance to help you reach the goal of buying your own home. Research housing finance agencies. Special mortgage programs are extended to buyers in specific situations, like low income purchasers or buyers planning to improve homes in a particular place, among others. With the help of a housing finance agency, you may be given a below market interest rate, down payment assistance and other incentives. These types of agencies can help eligible buyers with a reduced rate of interest, help with your down payment, and offer other advantages. These non-profit programs exist to build up the value of homes in specific neighborhoods. Explore no-down and low-down mortgage loan programs.  The Federal Housing Administration (FHA), a part of the U.S. Department of Housing and Urban Development (HUD), plays a critical role in assisting low and moderate-income buyers get mortgage loans. Part of the U.S. Department of Housing and Urban Development(HUD), FHA (Federal Housing Administration) aids homebuyers who wish to get mortgages. FHA offers mortgage insurance to the private lenders, ensuring the buyers are eligible for a mortgage. Interest rates with an FHA loan usually feature the going interest rate, but the down payment with an FHA loan are below those of conventional loans. The down payment may be as low as three percent while the closing costs could be covered by the mortgage loan. Guaranteed by the Department of Veterans Affairs, a VA loan qualifies service people and veterans. This particular loan requires no down payment, has reduced closing costs, and offers a competitive rate of interest. While it's true that the loans don't originate from the VA, the department verifies borrowers by providing eligibility certificates. You can finance your down payment through a second mortgage that closes at the same time as the first. Most of the time, the piggyback loan takes care of 10 percent of the home's amount, while the first mortgage covers 80 percent. The borrower covers the remaining 10%, instead of come up with the usual 20% down payment. No matter your method of getting together your down payment, the satisfaction of reaching the goal of owning your own home will be just as sweet!